This is a 2 session class happening on 2 consecutive Mondays from 12-3 PM. 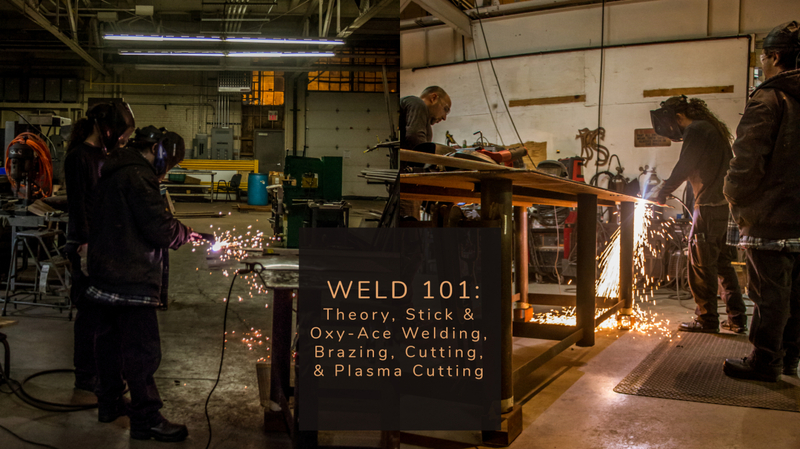 Over the course of two 3 hour segments we'll cover the foundation of selecting and welding with stick electrodes, welding, brazing and cutting with oxy-acetylene, as well as cutting and gouging with the handheld plasma, this is a great course to get a basic understanding of welding as a whole and learn some other super useful metal joining options. - If the class does not reach minimum enrollment, by the date specified in listing (normally 3-7 days prior to the event) it will be canceled.